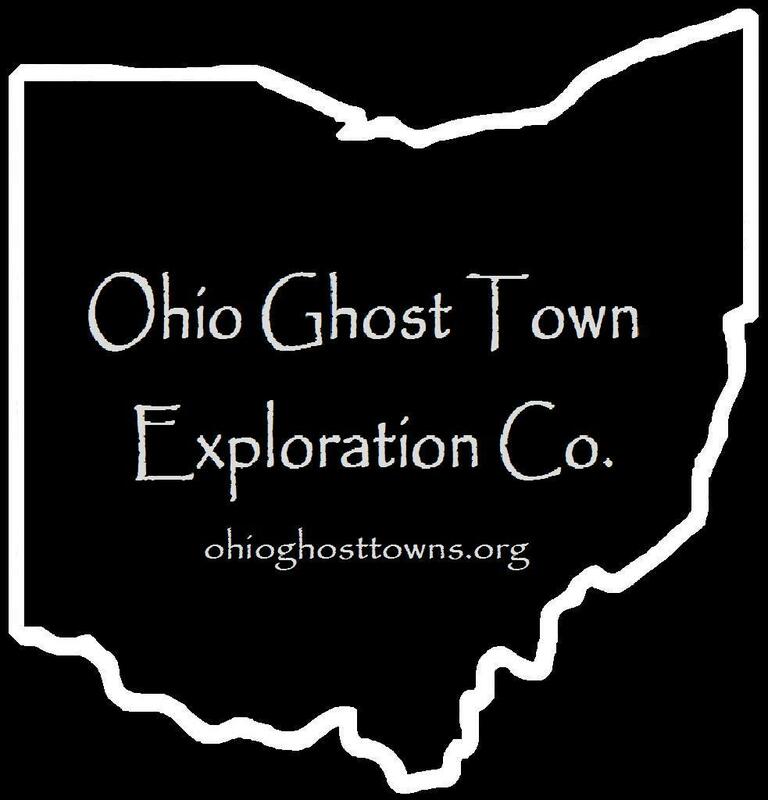 Butler County – Ohio Ghost Town Exploration Co. Description: Athlone was a flag stop (trains would stop if signaled) on the Pittsburgh, Cincinnati, Chicago, & St. Louis Railroad. It can be spotted on the county outline map page in the 1914 Butler County Atlas between Ixworth & Flockton. Description: The Belt Line Railroad built by the Hamilton Belt Railway Company was completed in 1896 & served the Champion Paper Mill. It met the Cincinnati, Hamilton, & Dayton Railroad at the intersection. Description: Boggerville was on the north side of the railroad tracks at Woods Station which it predated as a town & kept its own name through the late 1800s. State Geologist & first President Of Ohio State University, Edward Orton, noted Boggerville’s existence on a map in the 1878 Report of the Geological Survey of Ohio, Volume 3. Description: The original settlement at this location was called Brownstown in the very early 1800s but it didn’t last long & the founders either died or moved. Shortly after that it changed to Ball’s Ferry, named after Revolutionary War veteran Davis Ball (1758 – 1819) & Mary (Hatfield) Ball (1763 – 1835) who came to Ohio from New Jersey. They had a farm, a few children, & Davis operated a ferry. He tragically died with a group who insisted on a crossing in dangerously high waters & the ferry overturned. Davis & Mary’s son Aaron (1791 – 1863) operated the ferry until 1861. They were buried with relatives in Elk Creek Baptist Church Pioneer Cemetery. Description: It was founded by Robert Busenbark (1793 – 1872) & Margaret (Stout) Busenbark (1788 – 1879) who moved to Ohio from New Jersey. They had a large farm & a couple of children. They donated land for a school in 1833 & along with one of their sons David (1819 – 1908), donated more land for a train station on the Cincinnati, Hamilton, & Dayton Railroad in the 1850s. A local farm was the site of a bare-knuckle boxing Heavyweight Championship Of America match between Mike McCoole & Aaron Jones in 1867. Thousands of fans rode in on trains to catch the outdoor match. Busenbark also had a grain elevator & warehouse & a water pump station which supplied electricity for the railroad when it was converted from steam trains. Robert & Margaret were buried with relatives in Elk Creek Baptist Church Pioneer Cemetery at the intersection of SR 73 (W State St) & Hamilton Trenton Rd. Description: It was listed in the Ohio Gazetteer And Traveler’s Guide from 1837 – 1841 & 1854 A Gazetteer of the United States of America. Description: The town was founded by James Clawson (1796 – 1895) & Rebecca (Vail) Clawson (1798 – 1870). They were both born in Pennsylvania & moved to Butler County with their families at early ages where they met & married. The Clawsons had 8 children & steadily accumulated a successful farm of over 600 acres. The town also had a couple of churches & a school. James & Rebecca were buried with relatives in Spring Hill (Clawson) Cemetery. Description: The train station was in the southwest corner of the crossing on the former Cincinnati, Hamilton, & Indianapolis Railroad. Description: It had a train station of the Pittsburgh, Cincinnati, Chicago, & St. Louis Railroad. Unfortunately 9 members of one family were killed by a northbound train when crossing the tracks in an automobile on July 26, 1936. Description: The town was founded by John D. Jones, a dry goods merchant from Cincinnati, who donated land for a train station on the Cincinnati, Hamilton, & Dayton Railroad. Thomas Kirk was the first station agent & built a general store. The town also had a school, saloon, & Methodist Episcopal church. The post office was last named Stockton & the area still goes by that name for census purposes. Description: McDonald had a train station on the Cincinnati, Hamilton, & Dayton Railroad & a massive 60 car length passing siding for loading cargo. Description: The town was founded by a branch of the Millikin family in the county. Description: The proprietors were Alexander Ogle (1808 – 1887) & Lucinda (Able) Ogle (1810 – 1865). It had a train station on the Cincinnati, Hamilton, & Dayton Railroad. Description: Old River Junction was the name of the previous, & much shorter, span of shared track bed than there is now of the two main railroads running through Hamilton. Description: The town was founded by Daniel Sheley (1835 – 1927) & Gertrude (Miller) Sheley (1840 – 1916). They owned a nice farm, had several children, & Daniel held every township office at one time or another. He was also a Freemason & county commissioner from 1892 – 1898. Sheleys main industry was ice production for Hamilton & Cincinnati. Daniel & Gertrude were buried in Greenlawn Cemetery on Greenwood Ave in Hamilton. Description: Its business busy proprietors were Jacob D. & Elizabeth Stillwell. They owned a distillery built in 1830, a steam powered grist & saw mills built in 1835 – 1836, a tavern, general store, & Jacob was the postmaster. Their daughter Lida married congressman Samuel Fenton Cary. The cemetery was established in 1811 & many township pioneers were buried there in currently unmarked graves. Description: The town & train station on the Cincinnati, Hamilton, & Dayton Railroad was named after the railroad president John Woods (1794 – 1855). The station had a nice livestock pen for animals waiting for loading. Busenbark was founded by Robert Busenbark (1793 – 1872) & Margaret (Stout) Busenbark (1788 – 1879). In 1833 they donated land for a local school (Butler Co. District #6) & in the 1850s Robert & his son David donated more land for a train station on the Cincinnati, Hamilton, & Dayton Railroad. Busenbark Rd was established in 1858. The town also had a grain elevator, warehouse, & a water pump station that supplied electricity to the railroad & surrounding community when it was converted over from steam trains. A boxing match between Mike McCoole & Aaron Jones in 1867 was the biggest event that Busenbark ever had. About 3,000 people arrived on trains to attend the outdoor fight. The town is highlighted by Ohio Historical Marker #8 – 9 on Hamilton Trenton Rd close to Busenbark Rd. It shares the marker with Dr. Charles F. Richter (1900 – 1985) who was born in the area & invented the earthquake Richter Scale. The Busenbark family was buried in Elk Creek Baptist Church Pioneer Cemetery about 2 1/2 miles east of Busenbark on S Main St in Trenton. The cemetery was established in 1802 & Ohio Historical Marker #18 – 9 tells more of its story. Gideon Sears Howe (1799-1875) and Sarah (McClay) Howe (1808-1883) purchased a section of land on US Route 27 from Miami University in Oxford in 1832 and built a stagecoach stop with a tavern and inn. They platted College Corner in 1837 and sold the tavern in 1840. Successive owners continued similar operations into the 1970s. The building was added to the National Register of Historic Places in 1976. It’s currently listed on airbnb.com for overnight stays. College Corner was never a large town, but the strategic location on the border with Indiana has always kept it intact. The current population is around 400 residents. Hueston Woods Covered bridge on Camden College Corner Road was constructed in 2012. It’s 108 feet long and spans Four Mile Creek. This late 1800s wooden replica replaced an aging iron bridge that was built in 1929. The wide road lanes and tall roof clearance accommodate most automobile traffic while pedestrian sidewalks on each side grant access to cross the creek or hang out for a moment to enjoy the view. There’s also a nice picnic area on the east side of the bridge and Hueston Woods State Park offers many activities such as camping, hiking, golfing, and mountain biking. Rialto sits along the Miami & Erie Canal & was the site of three paper mills. A dozen or so houses were built for their workers & the town had a post office from 1890 – 1900. Rialto was mostly abandoned when the canal closed & the mills went out of business in the early 1900s, but the community modernized since then & has new development.